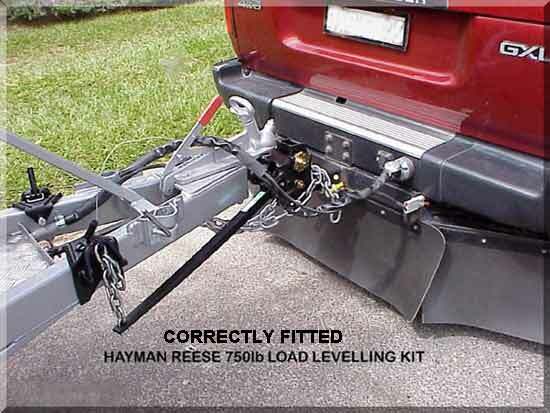 Caboolture Caravan Repairs sells and installs the complete range of HAYMAN REESE WEIGHT DISTRIBUTION products. We have skilled Auto Electricians on hand to upgrade and modify 12volt systems, Auxiliary Charging and 12 volt fridge Systems. Our experienced staff are always available to assist with towing and stability questions and to guide you with tow vehicle and caravan compatibility problems. Make sure you choose the system that fits your rig. 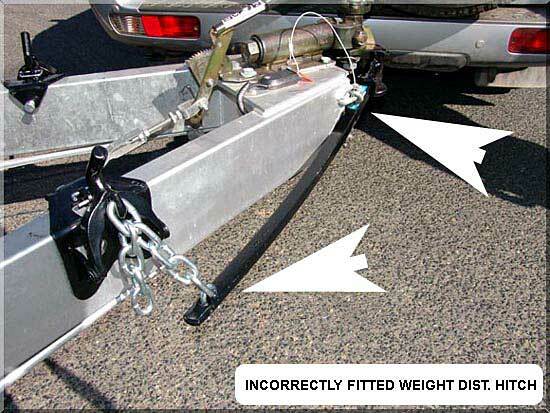 Towing a caravan, horse float, boat trailer, car trailer or heavy box trailer can apply a significant downward weight on the rear of the tow vehicle. This is what is known as the BALL WEIGHT. 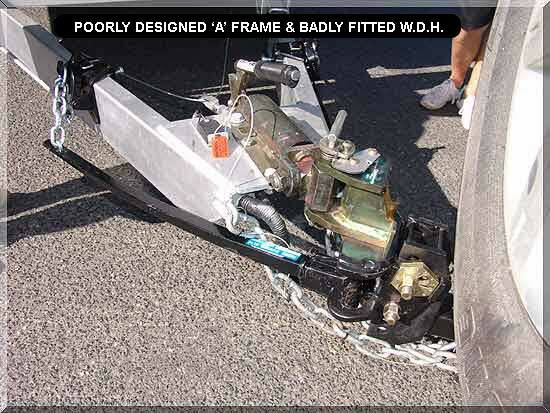 This weight is carried behind the rear wheels and, if excessive, will usually force the rear of the vehicle down and raise the front of the vehicle. If this happens the vehicle will experience a reduction in steering and braking control, often to the point where towing safety can be compromised. A Specialist installation of a WEIGHT DISTRIBUTION DEVICE may alleviate the issue by bringing the rigs into a level plane. 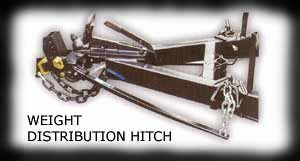 A rig that has a too light ball weight will often be extremely unstable, often to the point of being dangerous to tow. It may be necessary to re-assess the centre of gravity and the balance point of the van and adjust accordingly. A chronically unstable van may be assisted by the installation of a SWAY CONTROL DEVICE. This is not a cure for the inherent problem but may serve to control it to some degree. 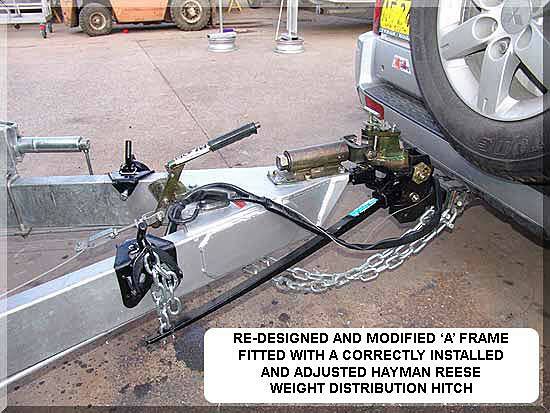 The Hayman Reese WEIGHT DISTRIBUTION HITCH is designed to ensure an even distribution of weight across all wheels of the Tow Vehicle and Trailer combination This ensures that towing and braking stability is maximised. Available in the following range – Mini – Intermediate 600lb – 800lb – 1200lb. 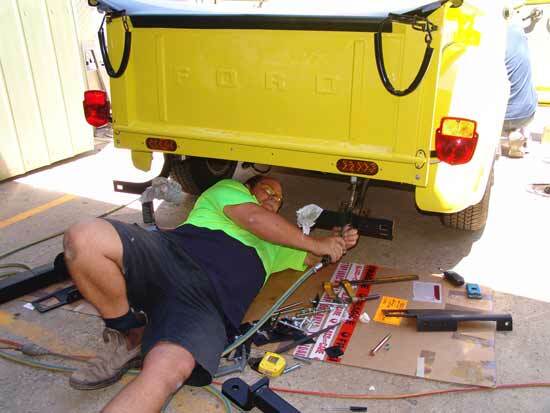 You should ensure that your vehicle is fitted with a towbar or hitch receiver with a load rating suitable for the caravan or trailer you intend to tow. 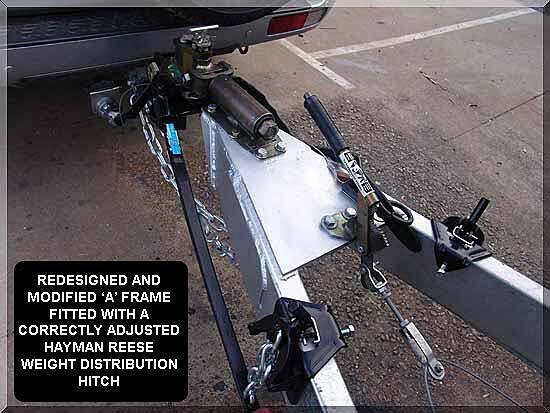 Whether you select the standard [bolt-on tongue] type of towbar or the Hitch Receiver [square hole] towbar, you can rest assured that Hayman Reese products are engineered and tested to meet your vehicles towing capacity. 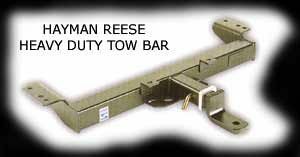 All Hayman Reese towbars are stamped with the applicable rated load capacity. 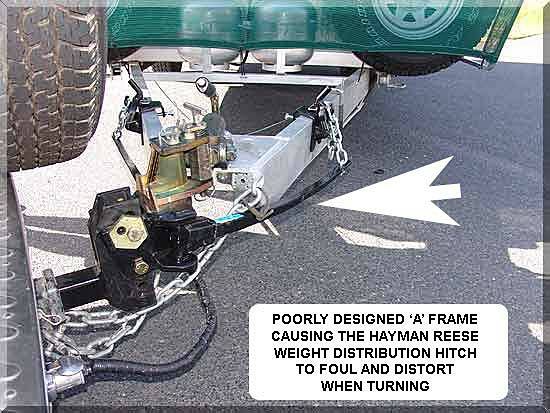 You are advised to check the ADR specifications for your tow vehicle and, where required, fit the appropriate Weight Distributing Hitch or Mini Hitch stipulated by those specifications.